Plenty of insects tunnel into oak wood or nibble the twigs, and sometimes larger creatures munch on buds or strip bark. But the oak food resource that supports the most diverse "fan base" among North American fauna is the tree's nut: the acorn. Feeding everything from ducks to squirrels to bears and wild boar, this nutritious crop serves an important ecological role wherever it is found. Acorns are an important food source for a host of North American animals. 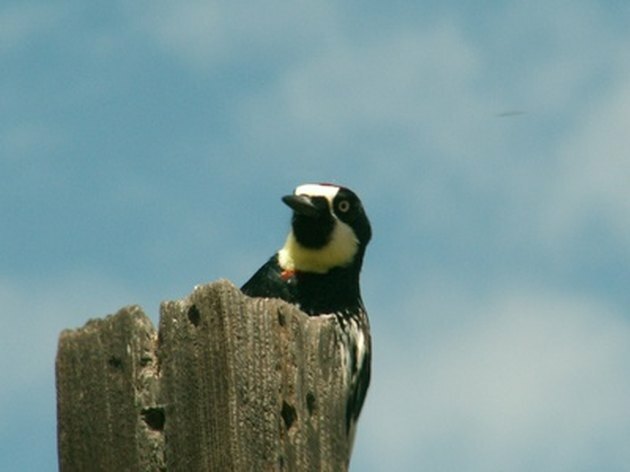 The acorn woodpecker relies on oak woodlands on the West Coast and in the Southwest. Birds are diverse users of oak resources. One of the most striking-looking – and a species with its food preference encoded in its common name – is the acorn woodpecker of the West Coast and Southwest. Distinguished by its handsome black-and-white plumage, capped by a red crown, this industrious bird will store thousands of acorns – from species like Oregon white oak and blue oak – in so-called "granary trees," riddled with storage holes they've excavated. Other birds may be less specialized feeders but still heavily reliant on acorns when they are available, from crows to waterfowl. Upland gamebirds like grouse may nibble oak-tree buds in addition to snacking on the seeds. 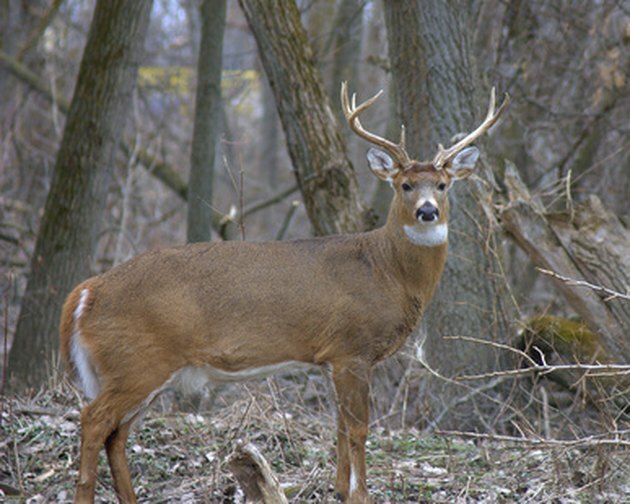 White-tailed deer forage heavily on acorns in the autumn. Plenty of mammals, large and small, find oaks equally desirable. Peccaries snack on acorns in the desert scrub of the southwestern U.S., while numerous kinds of squirrels the country over horde them in their famous stockpiles. 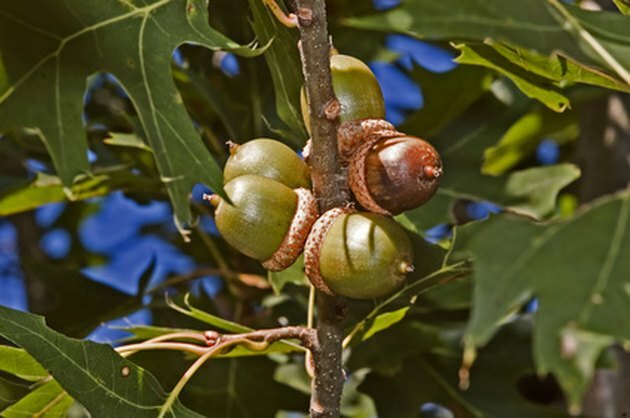 All three major types of deer in North America – white-tailed, mule and black-tailed – favor acorns among their most important seasonal food sources. So do black bears in the hardwood forests of the Appalachians and the Midwest, as well as oak groves of the West Coast. Grizzly bears historically indulged in acorns on the West Coast and in the Southwest. Among the most notable historic consumers of oak acorns in North America were grizzly bears, though this phenomenon, at present, is effectively extinct. One of the greatest strongholds of grizzlies on the continent was California, where they are now extirpated (but still grace the state flag). Storer and Tevis, Jr., in "California Grizzly" (1955), note that grizzlies in that state (as well as western Oregon) made a special effort to journey to oak groves from the Sierra Nevada to the Central Valley when acorns were ripe. The authors cite numerous historical accounts of Euro-American explorers and settlers commenting on this culinary preference; John Muir, for example, saw an acorn-foraging grizzly in present-day Yosemite National Park. 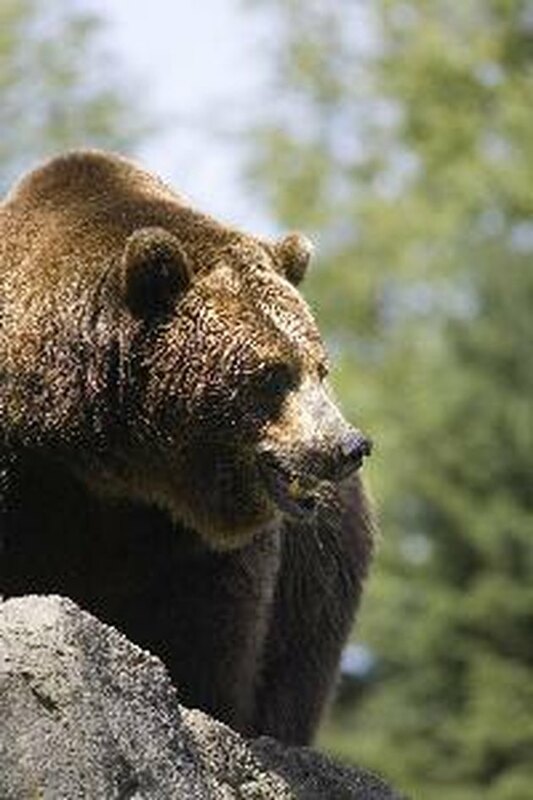 Grizzlies in sky-island mountain ranges of the U.S. Southwest, as well as highlands of Chihuahua and Sonora, also ate acorns before being hunted out. Grizzlies in the Rocky Mountains continue the tradition by feasting on pine nuts. Feral hogs in the U.S. also relish acorns. 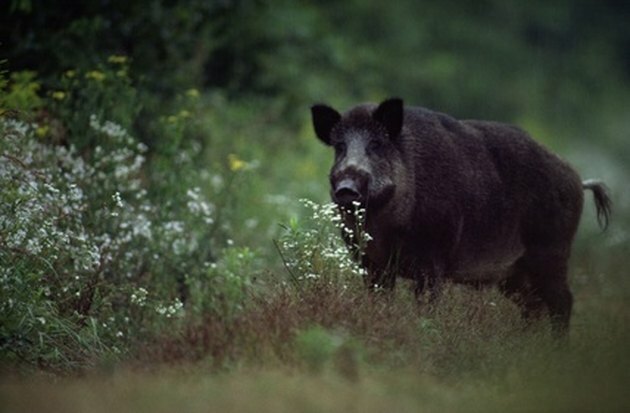 An invasive species introduced by humans, feral hogs now feed on oak trees in many parts of the lower 48 states. These feisty, intelligent, opportunistic and destructive creatures relish acorns, as well as other tree nuts. In the Southern Appalachians, they now join in the feast with black bears, white-tailed deer, squirrels and other native wildlife. In "The Wild Boar in North Carolina" (1991), John Collins cites studies conducted in North Carolina and Tennessee – a regional stronghold for feral hogs in the U.S. – that showed acorns topping autumn food lists for free-roaming pigs by substantial margins.